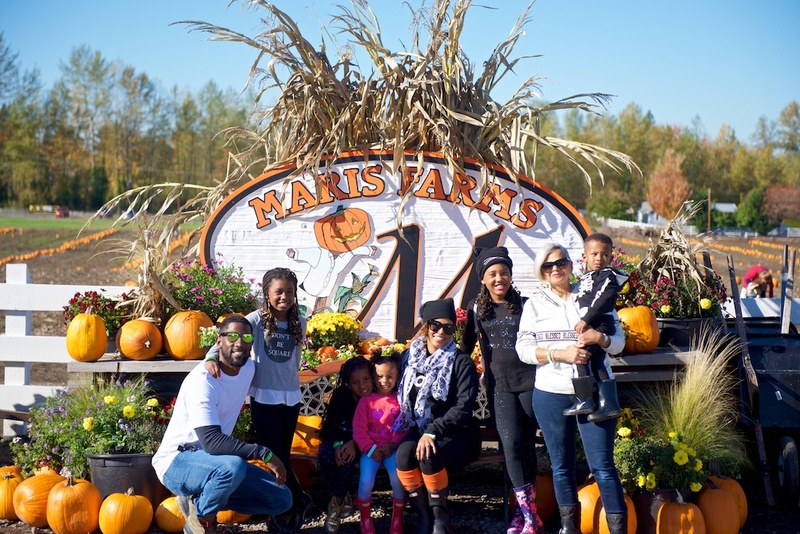 One of our favorite traditions is going to Maris Farms to kick off fall and Halloween. Maris Farms is located in Buckley, Wa. It is a bit of a drive for us, but it is well worth it! It is not only fun for families, but a few years ago I went there at night with a group of friends and was literally scared straight. Ha! Why we do we love Maris Farms? There is SO MUCH for the kids to do and there is never a dull moment. Pig Race: We place our bets and gather around a little track. It is a hoot to watch the piggies go! We cheer them on to the finish line and once our pigs even won! Zip-line and Barrel Roll: There are little mini zip-lines that the kids love to go down (there is a height requirement) and then we walk right next door to some huge barrels where the kids hop in and roll themselves back-and-forth. Tube Slide and Jumping Pillow: Maris has a super cool tube slide our kids must go down every time we go, and the little ones love to bounce on their big oversized pillow. Turkey Legs, Lemonade, and Kettle Corn: The three things we always get when we go, and we love it! Corn Maze: During the day the corn maze is a fun way to test your family’s trivia and have fun making your way through the maze. Apple Shooting: There is a big contraption that you load a real apple into and about 30 yards away there is a tree with a target. Load the apple, aim, and SHOOT! This is a super cool way to get some target practice in. Mechanical Bull: No explanation needed. It was a hoot watching my kids try out their bull! 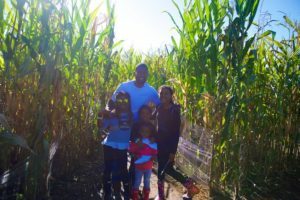 There is SO MUCH more at Maris Farms from monster truck rides and zombie paintball, to a huge pumpkin patch and more. This will be my family’s 4th year attending, and we all look forward to this time every year! For my adults who REALLY want to have the crap scared out of them Maris Farms, you’ve got to try their Haunted Woods! You know their wonderful daytime corn maze? Try going through it in the dark! I’m telling you, I walked through the Haunted Woods pretty much with my eyes closed the ENTIRE TIME! There are REAL zombies at every turn and some serious surprises that will make you want to run… but, don’t run too far because you may get lost… forever. Haha! 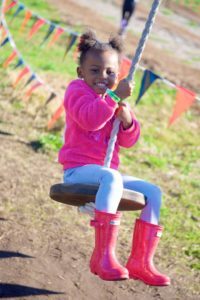 To check out all the fun that Maris Farms has to offer, click here! An Active Family is a Happy Family; Why our schedule works for us.